Suede jackets have been an early choice of outwear for NBA players this fall season. Not a surprise at all, with suede’s versatility, there’s numerous ways you could include the sleek fabric into your fits. 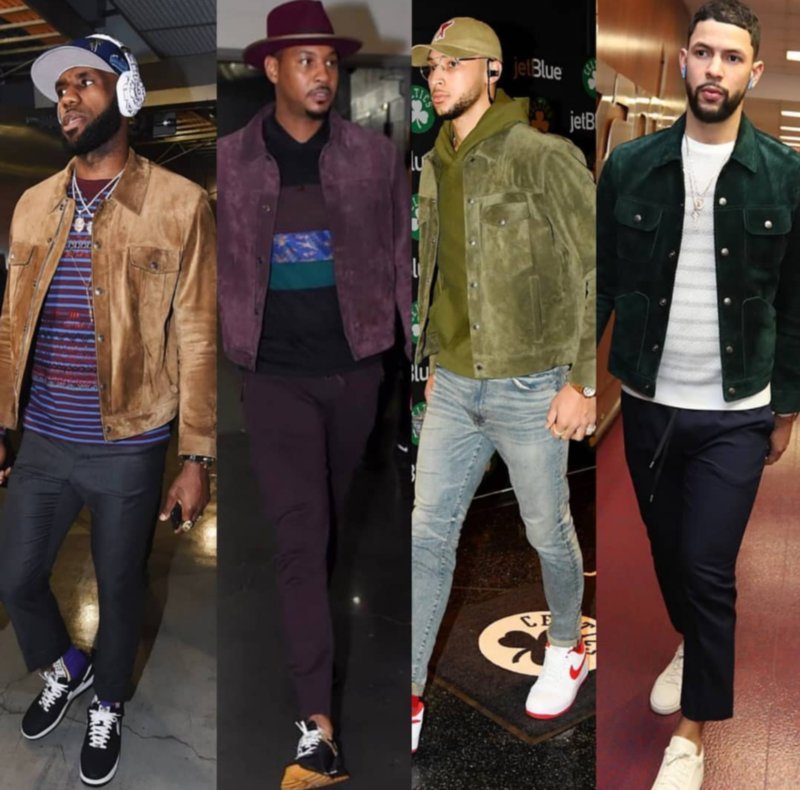 We recently saw a collection of NBA players arrive for game day rocking variations of suede jackets. The pack included: Lebron James, Carmelo Anthony, Ben Simmons, and Austin Rivers. You really can’t go worn with this napped leather (unless worn on a rainy day.) It has a luxe feel, timeless, and versatile enough to be worn all year around. These guys just inspired me to break out my suede bomber, its been a while.